drive. The high read and write performance of the Avant Verve SSD will satisfy the most demanding gamer and power user. While the low power mode extends battery life for the road warrior. Providing an industry-leading bandwidth of more than 550MB/sec transfers, the Avant Verve SSD can approach the limits of the SATA 3Gb/s interface on large transfers. Performance reaches enterprise class standards with up to 30,000 IOPS. A robust ECC algorithm and RAISEâ„¢ technology protect the data. Efficient bad block management and reduced write amplification further bolster endurance. 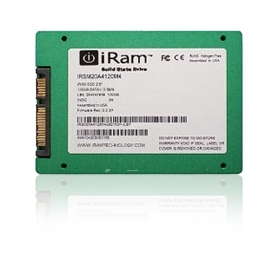 Drive health is monitored using an SSD-pecific set of S.M.A.R.T. attributes. The combination of these techniques provides data protection unrivaled in the storage industry. Call and order an Avant Verve SSD Mobile and see for yourself why it is the optimal drive for your computer system.